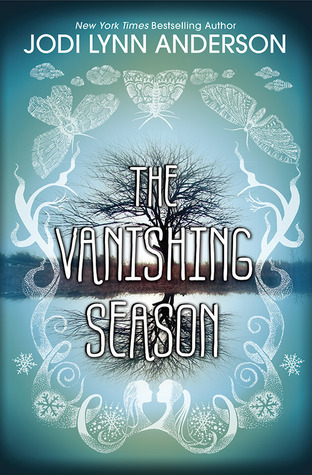 From the blurb The Vanishing Season sounds like a kind of mystery, written from the perspective of a ghost. Although this isn’t entirely wrong, the book has a different focus. Maggie moves to a town right in the middle of a lake with her parents. It’s a lonely and cold place, but she meets two amazing friends, Pauline and Liam. The book is basically about the friendship between Maggie, Pauline and Liam. The murders of teenage girls plays in the background of the story, and rarely touches the main characters. It’s not a mystery in the traditional sense. The main mystery is who the ghost narrative (written in italics throughout the story) is, and how it ties in with the bigger picture. The cover fits the story very well. Most of the story is set during the winter months, and it’s very cold and bleak. What I really liked about the story is that it’s unconventional – the double narrative, the character dynamics and final resolution are all non-standard. I liked the way Maggie’s parents acted. They were very parent-like without being crazy protective or crazy my-kid-deserves-freedom, like many parents in YA are. Like many other people reading The Vanishing Season, I somehow felt a bit distant to the characters. There is not much of a plot; it’s more a kind of meandering and unfolding kind of book, which is fine with me. The emotional punch just wasn’t there for me though, which is what this book does want to achieve. Maybe if it had been a bit longer, and had more indepth scenes, I would have felt differently. The Vanishing Season was good. In some ways it reminded me of Code Name Verity (without the planes and the war) because of the close friendship between two girls. This is a good book if you want something different and not too long.